This particular show was highly anticipated. I for one was very excited to see the result of this collection. 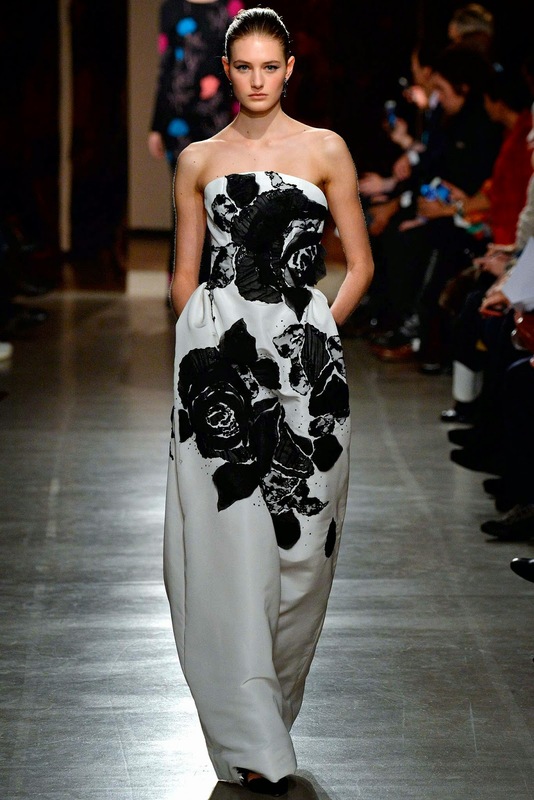 The first collection to be released since Oscar de la Renta himself sadly passed away. 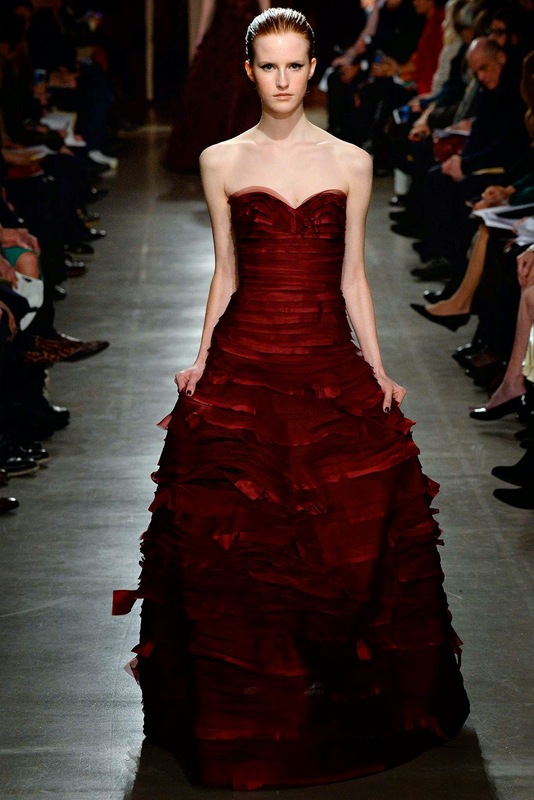 His successor, Peter Copping, would have done la Renta extremely proud. It oozed the typical Oscar vibe, and thats what made the show so special to watch. The brand's past and present all gathered together at this very special show to honour the talent of the late designer swell as acknowledge and be presented with the change of the brand. A truly great show! The pressure on Copping must have been huge. Having to bring the legacy back to the catwalk with a completely new vision but still incorporating the features of la Renta that we all know and love. 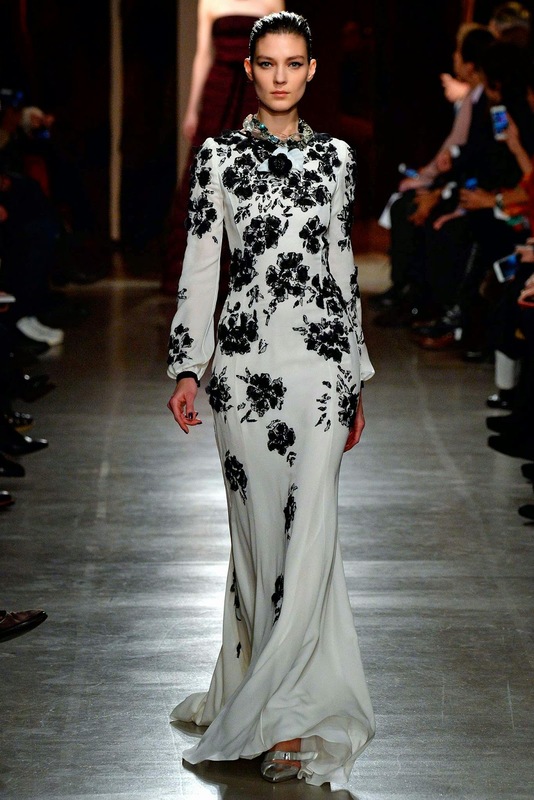 The collection overall is one of my favourite's at NYFW so far. It was so me, and I absolutely loved the experience of seeing the show online. Beautiful A-Line skirts complimented with beautiful, yet subtle patterns really brought the collection to life. 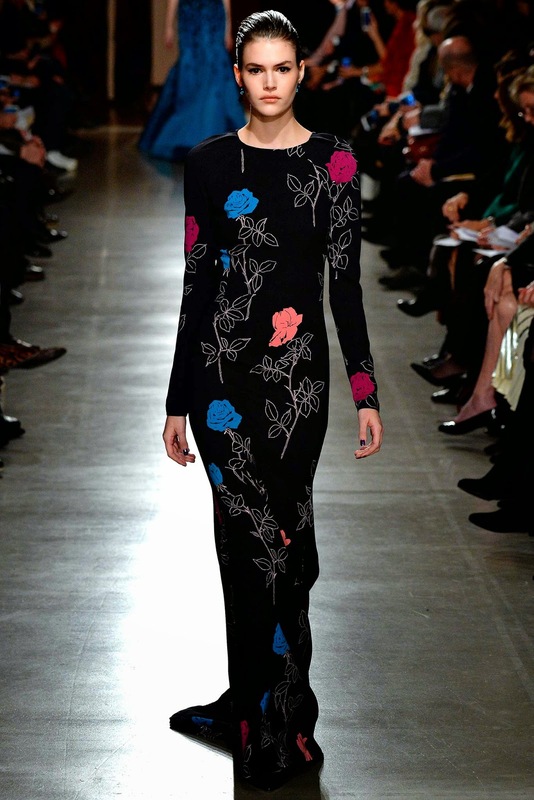 I instantly knew after the first few looks had graced the catwalk that this was going to be a standout season for Oscar de la Renta. The first segment of the show really held onto Blacks, Whites and Reds which really empowered the looks, but with grace and elegance - something that is particularly hard to achieve, and Copping absolutely nailed it. As the collection progressed, more colours were introduced such as blue and pinks, but the foundation colour palette of the collection was definitely monochrome. So feminine which is really what I have loved about the previous collections from the fashion house. The last gowns included in the show was a throwback to Oscar's legacy. Filled with colour and decades of different shapes, it was really the perfect finish to a perfect show.